When archaeologists found a charred ancient scroll on the site of an ancient Hebrew village called En-Gedi, they had no way of reading it. They conserved it, hoping that new technology may one day make the scroll legible again. Almost 50 years later, that day has come, thanks to Dr Brent Seales, Professor of Computer Science at the University of Kentucky, who had been working on reading similarly charred scrolls found near Pompeii in Italy. Seales’ process involves several steps conducted by his software Volume Cartography. First, a micro X-ray scanner (Micro-CT) creates a 3D image of the scroll. Second, rolled-up surfaces are identified and broken down into a mesh made up of small triangles. Third, the mesh is scanned for weighting – areas with heavier weighting are ones that contain lead or iron-based ink. Fourth, the mesh surface is mapped onto a 2D plane. Last, but not least, all mapped 2D images are connected to create a single picture of the whole scroll. The process is incredible to watch on video, and bears similarity to scanning the inside of a Swiss roulade, or a rolled-up newspaper. 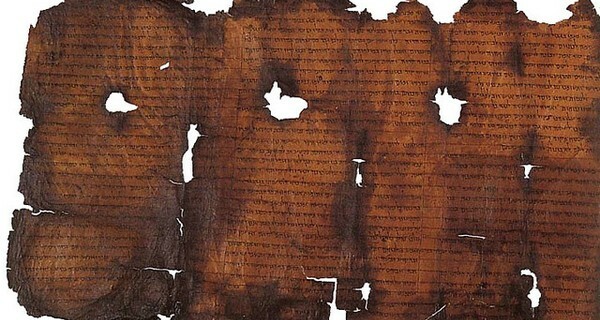 The En-Gedi scroll is the first damaged, ink-based scroll to be unrolled and identified non-invasively, and the surviving content is a real treasure for archaeologists and historians; it contains the first two chapters of Leviticus, making it the most ancient scroll that depicts content from the Hebrew Torah since the Dead Sea Scrolls. The impact is transformative, and not just in the field of archaeology. Forensic experts and intelligence professionals could use the technology to retrieve information from documents damaged by fire.